This post is created in collaboration with QVC. They have compensated me for this review but all opinions are my own. 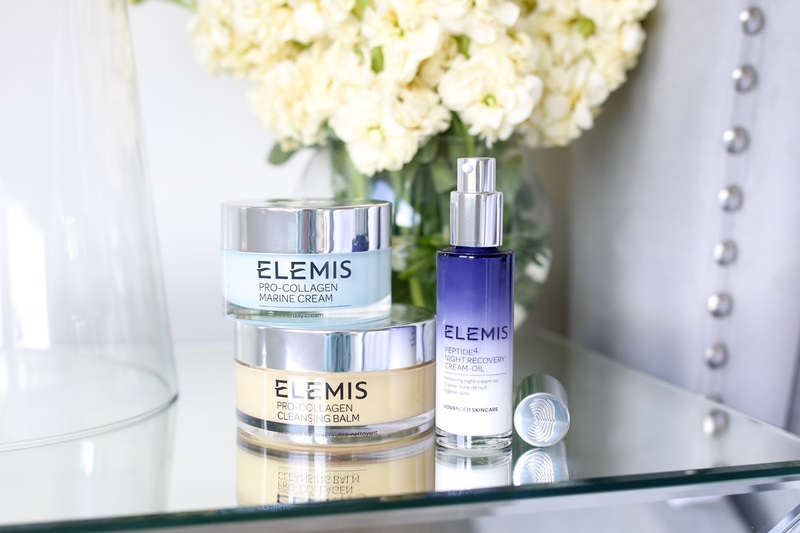 A few months ago, I introduced the new Elemis Pro-Collagen collection on my blog, and now there is another great launch from Elemis that can be easily added into the routine. 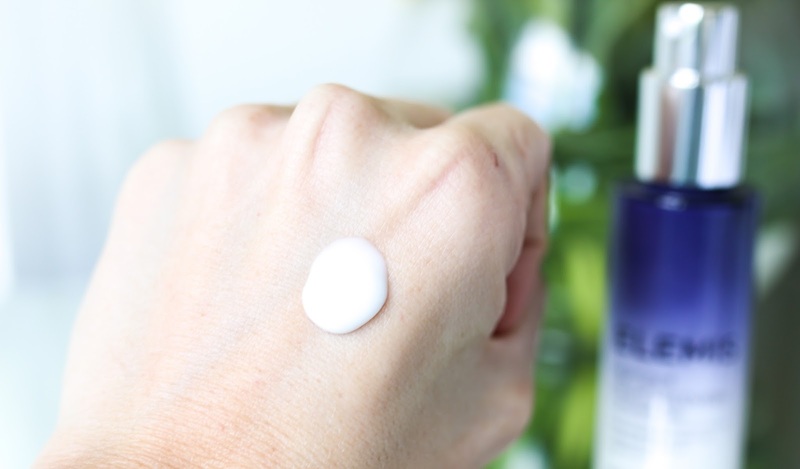 The Pro-Collagen Cleansing Balm made it's original debut and on my blog many years ago and instantly became a hit with me. And the new Pro-Collagen additions for day and night work incredibly well for my combination skin, and are great at addressing hydration and anti-aging concerns. 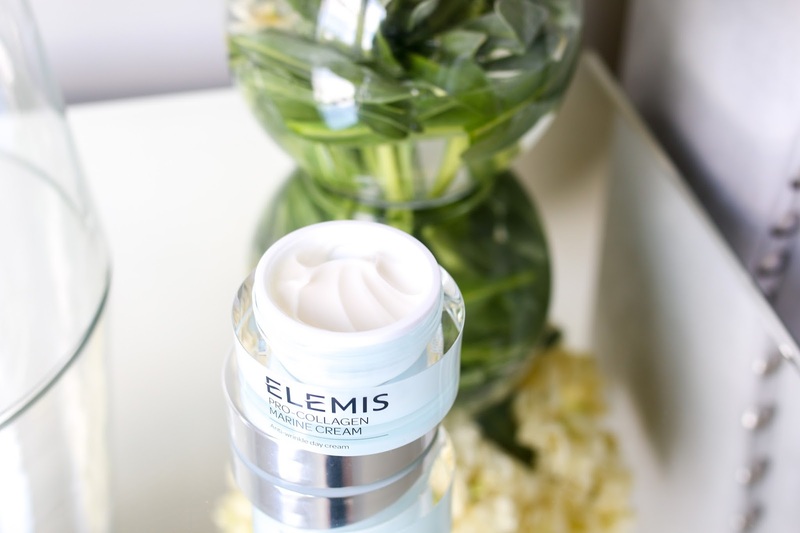 The most recent member of the Elemis range is the Peptide Night Recovery Cream-Oil which is a cream-oil that helps nourish and replenish moisture to my skin overnight. Currently it's available exclusively on QVC (until 6/30/2017) and comes in an amazing 3 piece set with the Cleansing Balm and Marine Cream. 1. 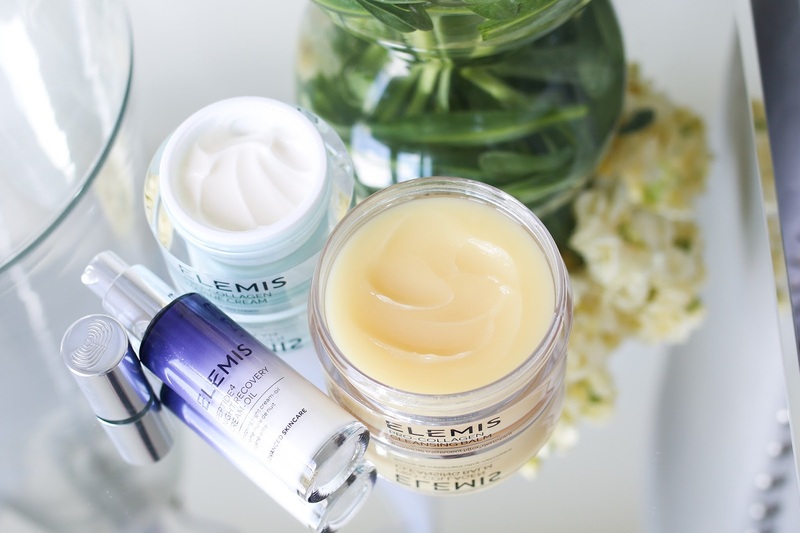 Elemis Pro-Collagen Marine Cream - From the first time I tried this moisturizer, my skin instantly responded to it. While the texture is thicker as you can see from the photo, it disappears immediately without leaving any greasy residue on my face. It targets both hydration and anti-aging concerns, and is such an easy product to add in to any routine. It's great for all skin types and is something I would use year round because the texture strikes the perfect balance of lightweight yet incredibly hydrating. 2. 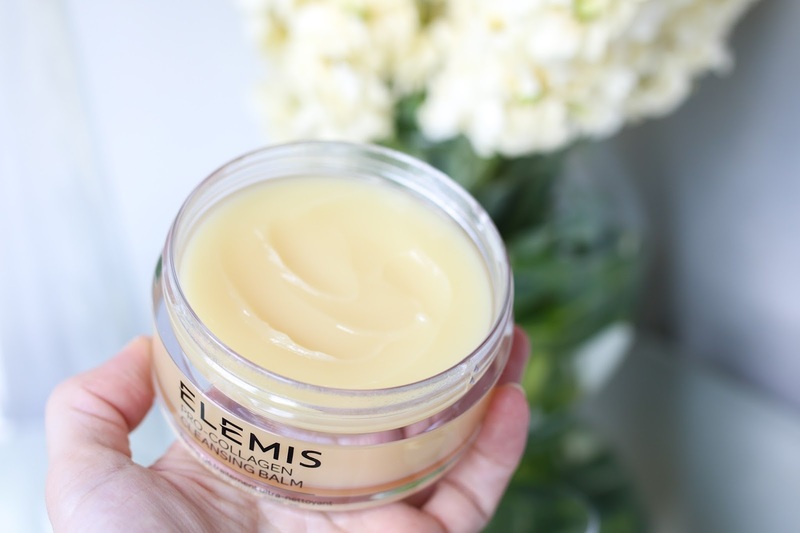 Elemis Pro-Collagen Cleansing Balm - This cleansing balm has been a regular on my blog and in my routine for the past few years. I find myself recommending it often because the texture is a perfect mix of creamy and oily. As you can see from the above picture, it's still a solid and not too greasy, but as you massage it into the skin it immediately breaks down makeup and easily dissolves into a gentle milk with the addition of water. 3. Elemis Peptide Night Recovery Cream-Oil - The product name alone instantly intrigued me since I have never tried a cream-oil before. While it has the lightweight feel of a lotion, there is a slip to it that is reminiscent of an oil. Upon first adding this to my routine, I applied it after cleansing and toning and then decided after a few uses how I wanted to layer it with other products. In the end, I found it worked best applied alone after my chosen serum for the evening. Though the lotion texture may seem like it would need the addition of a moisturizer or oil afterwards, it was definitely enough moisture for me. Since we are heading into the warmer months, I think the lightweight yet nourishing feel will be perfect to replenish my skin at night. In addition to these 3 pieces that are available in the Super Skin set on QVC, it comes with a full size Gentle Rose Exfoliator as a bonus gift. The entire set retails for $99, and considering the Cleansing Balm itself is $64 this is such a great deal!